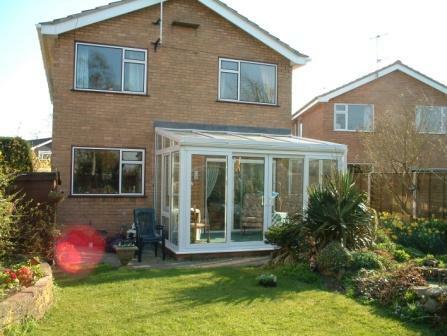 Sun Lounge Conservatories, Lean-to or Garden Room? 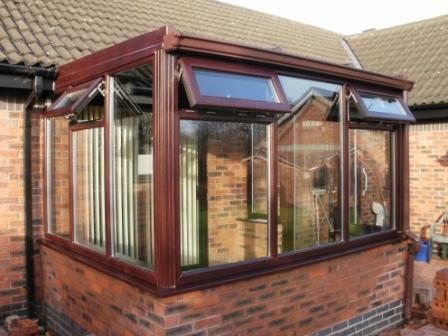 Sun Lounge Conservatories are often referred to as Lean-To conservatories or sometimes as a Garden Room. Sun Lounge Conservatories are the simplest of all conservatory designs and generally has a single pitched roof with angled side frames. Normally square or rectangular in shape, Sun Lounge Conservatories are generally the most economical of all conservatory designs in terms of build cost though most customers prefer something less plain. The contemporary design of Sun Lounge Conservatories is extremely versatile and doesn’t have to be just a plain looking box. Sun Lounge Conservatories can be constructed around external corners or into internal corners, be built with angled or curved corners and have a roof pitch as low as 2.5º or as steep as 35º. In fact with a proprietary fixing kit, Sun Lounge Conservatories can be built on a bungalow, with the roof attached to the fascia and the side frames underneath the soffit. There are a number of conservatory roof companies which manufacture well engineered and well-designed conservatory roofs but at ‘Just a quote’ we tend to work with just a handful of them. Our authorised installation companies can go into much more detail during a survey but you can guarantee that all of the companies we deal with will have taken into consideration that in the United Kingdom most Sun Lounge Conservatories, during their first ten years will have had to cope with almost 30 feet of rainwater, 200 days of snow, and 3,650 days of temperatures ranging from 10º or 15º below freezing to, well at least sometimes, a hotter than average 35º. A surveyor can help you to decide not only on the style of conservatory which is right for you and your home, but will also help with the types of window and door, the levels of ventilation and insulation required, the type of conservatory glazing and will offer other advice from planning permission to pricing. 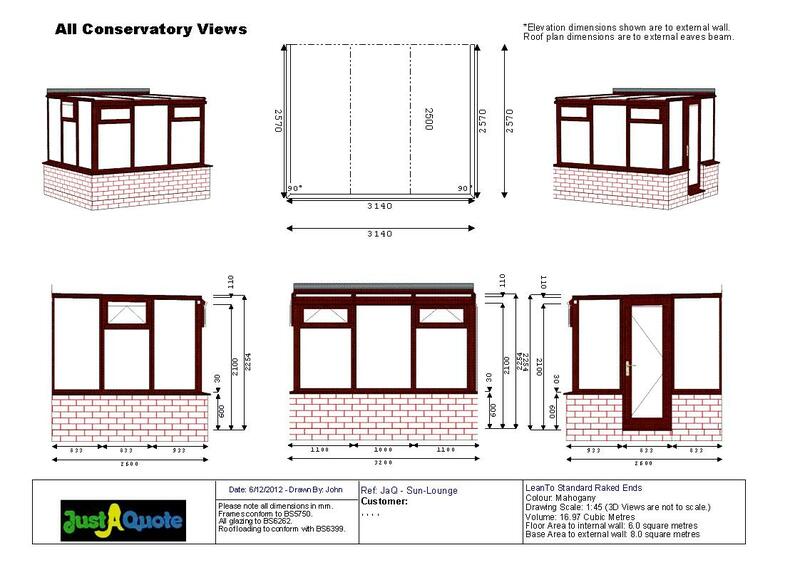 Most of the installation companies we deal with even produce scale CAD drawings and a superimposed image of Sun Lounge Conservatories onto a photograph of your home. Surveyors will advise on the use of casement, tilt and turn or sliding sash windows combined with a single door or double doors, sliding patio doors or bi-fold doors. Additional ventilation can be provided by either manually or electrically operated roof vents or proprietary ventilation systems which some manufacturers have designed into their roofs in the ridge and in the eaves beam. Conservatory designers also take into account the aspect of Sun Lounge Conservatories, as a north facing conservatory may need more insulation whereas a south facing conservatory will probably need more ventilation. Additional protection from the conservatory overheating can be designed in, by recommending heat reflective polycarbonate or anti-sun glass in the roof. The intention is to ensure that all conservatories and orangeries are designed to be usable throughout the whole of the year. When considering a quote for Sun Lounge conservatories, don’t forget the finishing touches such as electric sockets, lighting, furniture and conservatory blinds. You may even wish to install paving around the conservatory, such as pattern imprinted concrete, block paving or a resin and aggregate surface. 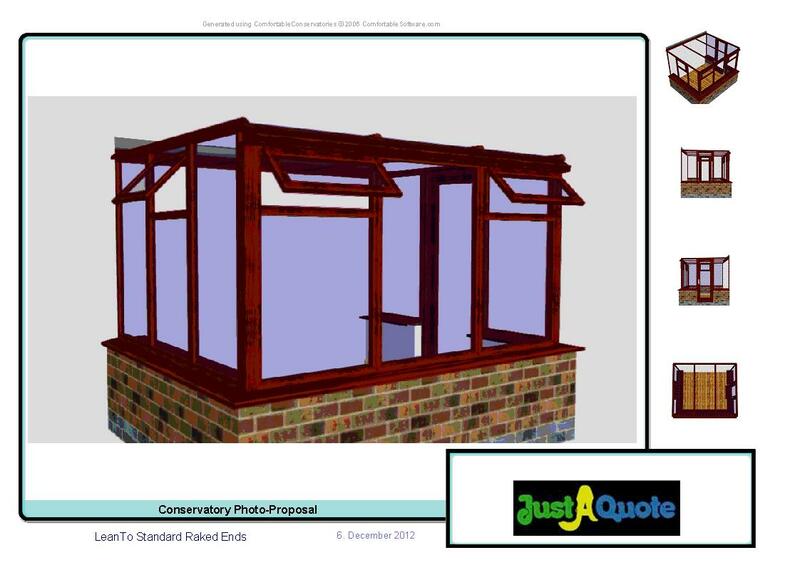 Just a Quote conservatory surveyors offer a CAD design service for Sun Lounge Conservatories and the following illustrations show the original design as a six image view, a computer generated image and the finished Sun Lounge conservatory as it was built.